At Mapleridge Children & Adult Dentistry, we proudly offer exceptional dental care to patients of all ages, to help them achieve optimal oral health. As the preferred source for pediatric and adult dentistry in Liverpool, you can always trust us to provide high-quality dental services in our warm and friendly office environment. Dr. Seini and her staff are pleased to provide the following information on gum health and care, to help our patients can achieve their healthiest smiles. The removal of any excess plaque from your teeth. The removal of plaque from areas of your mouth that your toothbrush or floss isn’t capable of reaching. The elimination of bacteria between your teeth, on your gums, and underneath your gum line. 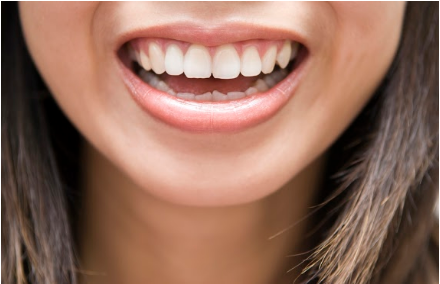 A cleaning of your teeth and gums that will leave you with a bright and beautiful smile. Depending on the condition of your teeth and gums, we may recommend a more intensive type of gum treatment, such as root planing or scaling. Both of these adult dentistry procedures are deep cleanings where plaque and tartar are removed from beneath a patient’s gum line. Typically, a mild anesthetic will be used to ease any discomfort during the treatment. Gum treatment from your adult dentistry in Liverpool is beneficial and important because it can help treat gum disease. Gum disease is caused by plaque, which continually forming on your teeth. If your teeth aren’t thoroughly cleaned and this plaque isn’t consistently removed, your gums can become inflamed and pull away from your teeth. Plaque can then get trapped in these pockets, and it can’t be removed with regular brushing. If this goes untreated, gum disease can occur and then eventually lead to bone and tooth loss. Contact Your Family Dentistry in Liverpool, NY! Here at Mapleridge Children & Adult Dentistry, we believe in the importance of dental care for gum health. Get started on the path toward a healthy smile and book an appointment with us today. If you have any questions regarding dentistry in Liverpool, NY, give us a call at (315) 453-2084 or reach out to us at our contact page, and we’ll be happy to discuss them with you. We can’t wait to help you achieve optimal gum health and a beautiful, healthy smile!